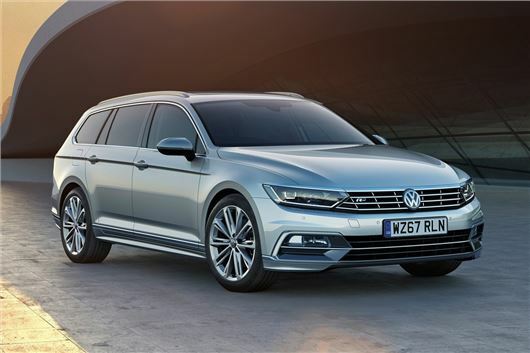 Volkswagen has updated the Passat with Apple CarPlay, Android Auto and MirrorLink now fitted on all models while SE Business and above get LED headlights and heated front seats as standard. SE Business models now have 3Zone climate control, with separate controls for the rear plus there's now a colour multi-function display. LED headlights are now standard on the SE Business, GT and Alltrack models and the Passat R-Line gets Premium LED headlights. Prices for the SE Business have increased by £550 but Volkswagen says the extra equipment is worth £1955. The price of the Passat S hasn’t changed and starts at £22,025. Meanwhile, Volkswagen has added a 130PS BlueMotion version of the new 1.5 TSI Evo engine to the Golf GT range. It's available in both the hatch and estate, it come with a six-speed manual or seven-speed DSG automatic.